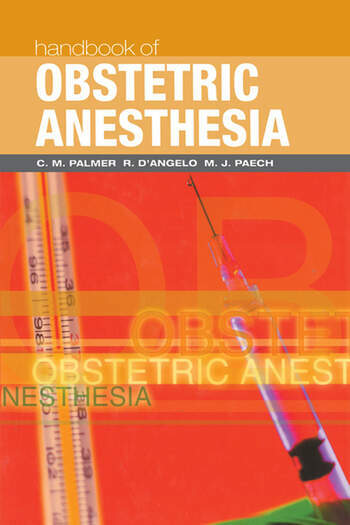 This extensively illustrated book provides an accessible and up-to-date introduction to obstetric anaesthesia and analgesia. With only three principal authors, there is a consistency of style within a comprehensive textbook that presents the basic science, pharmacology and clinical practice relevant to obstetric anaesthesia. Chapters cover topics such as analgesia during labour, anaesthesia and postoperative analgesia for caesarean delivery, major obstetric and anaesthetic complications, evaluation of the foetus and resuscitation of the neonate, and common clinical scenarios such as management of pre-eclampsia, obesity, multiple gestation and co-existing disease.